The College has been awarded a $600,000 grant to establish the Sacred Word, Sacred World, Sacred Call: Youth Theology Institute. It is part of Lilly Endowment Inc.'s High School Youth Theology Institutes initiative, which seeks to encourage young people to explore theological traditions, ask questions about the moral dimensions of contemporary issues, and examine how their faith calls them to lives of service. 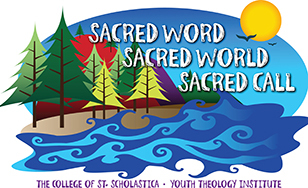 Sacred Word, Sacred World, Sacred Call will be a 10-day intensive learning experience for Northland-area high school sophomores, juniors and seniors, culminating in a wilderness retreat. The first institute will be held July 7-16. The program will host 20 high school students mentored by five trained college students in its first year, and 30 high school students mentored by seven college students in subsequent years for a total of 4 years. The Institute will be led by theology faculty and campus ministry staff who are heavily invested in guiding students to think deeply about the meaning and purpose of their lives. More information is available at css.edu/goyeti. Students will engage in explorations of their gifts, passions, and purpose. Theological, scriptural and contemplative reflection, service learning, prayer and worship, and community building will fill their days. Participants will deepen their faith, expand their knowledge and understanding of the Bible, and identify their own strengths for leadership, ministry, and service.